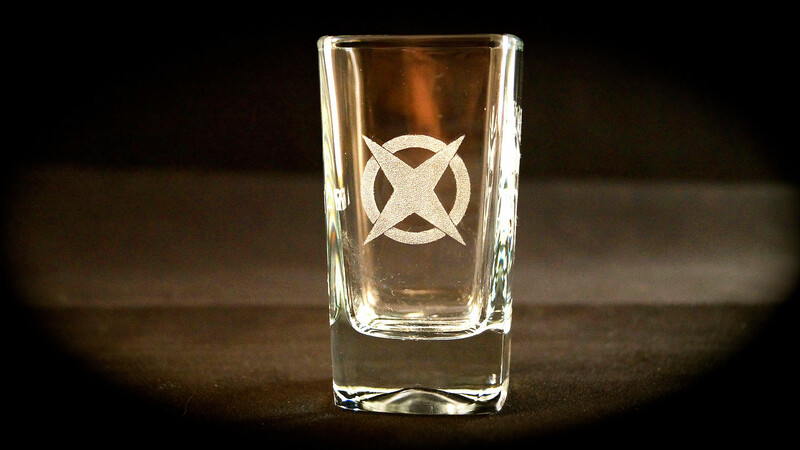 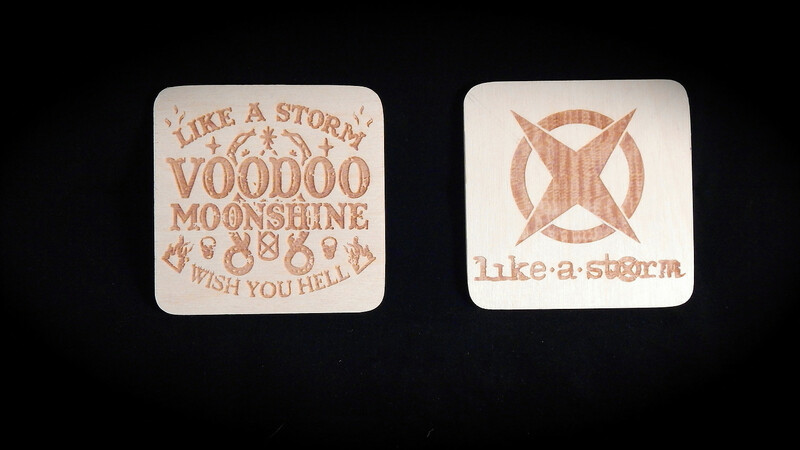 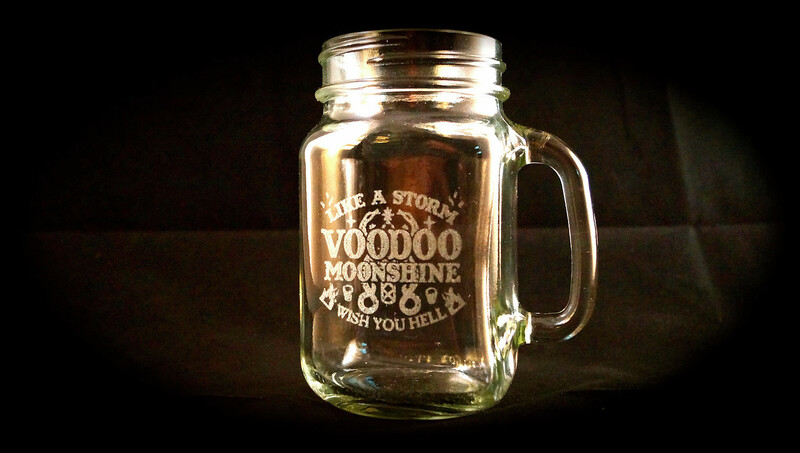 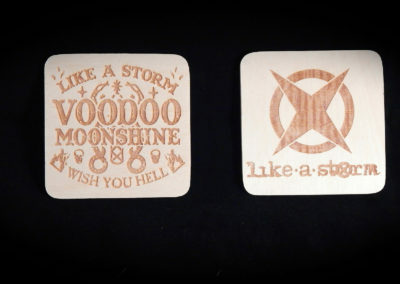 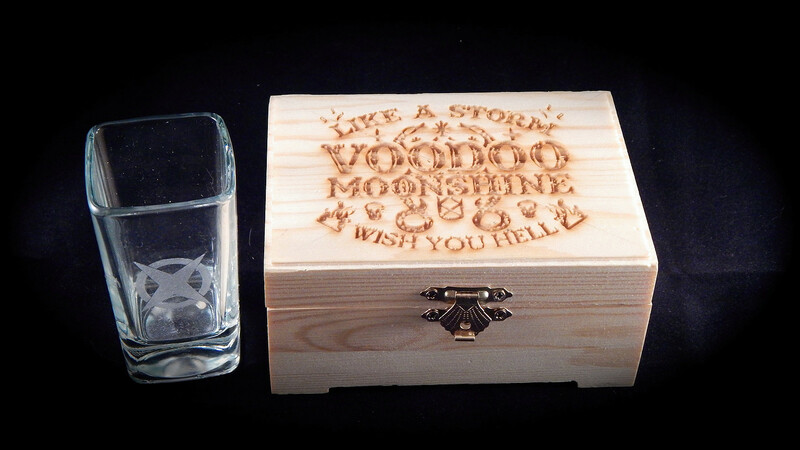 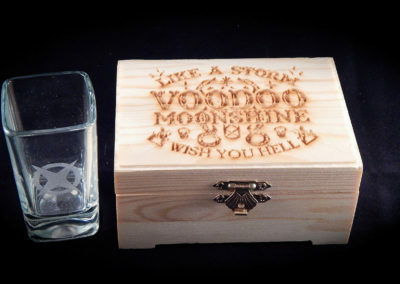 Glass etched tall shot glass and wood burned box make a cool bundle for fans. 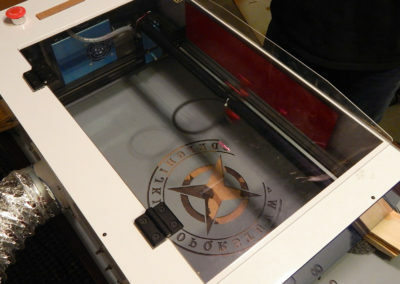 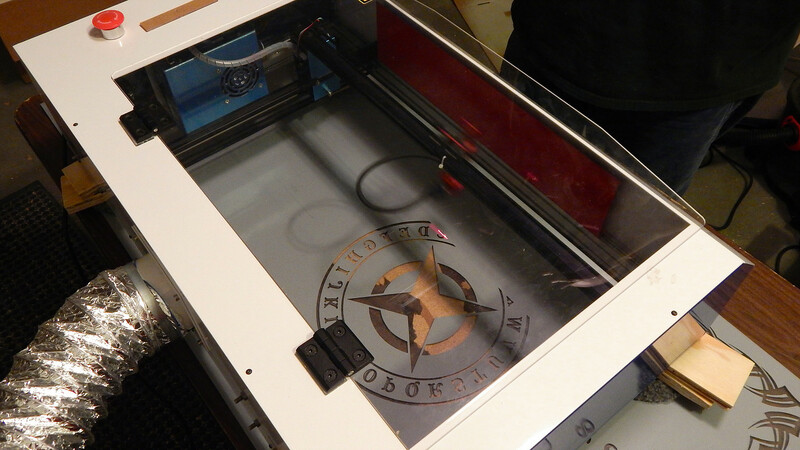 We don’t silk screen – it won’t hold up. 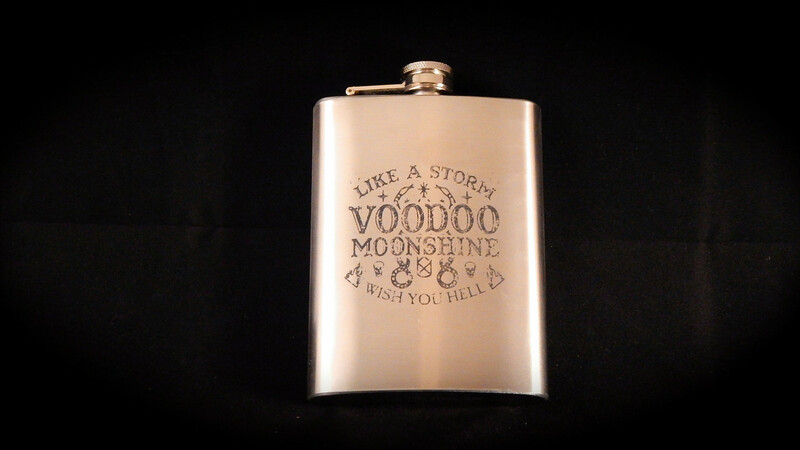 This is a highly durable ceramic transfer that is lased directly on the flask. 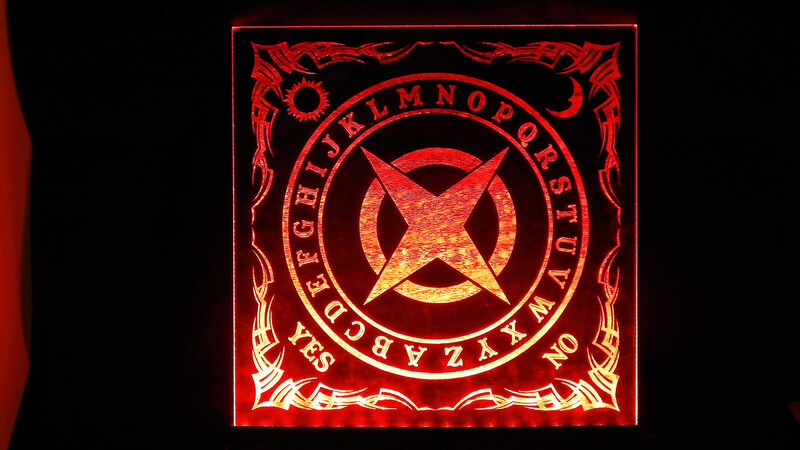 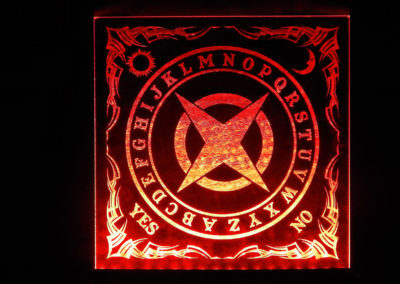 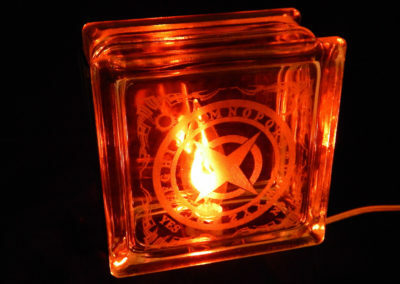 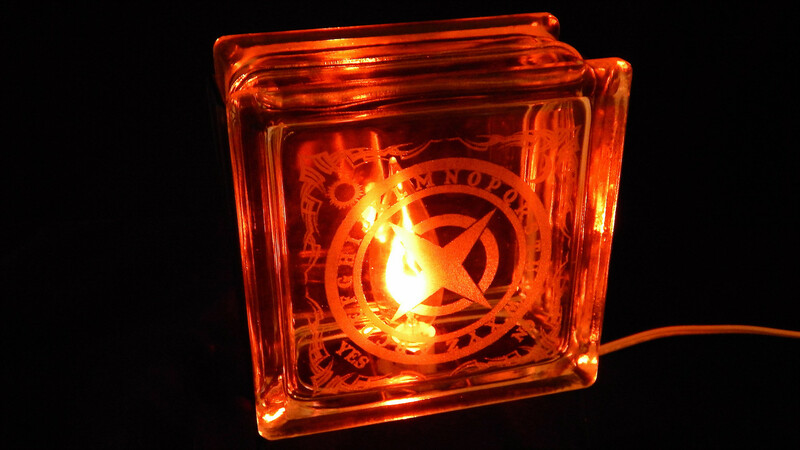 Here’s the Ouija Glass Block with a cool flicker bulb light kit. 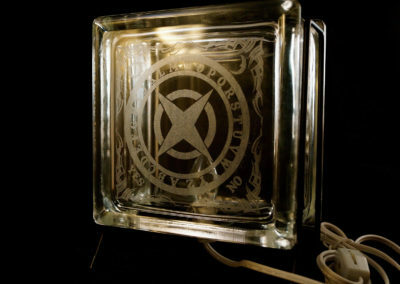 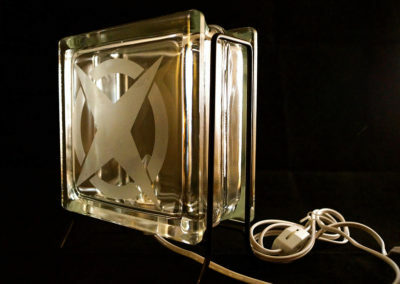 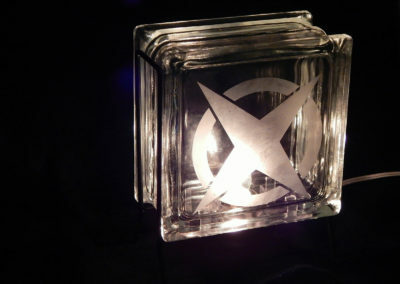 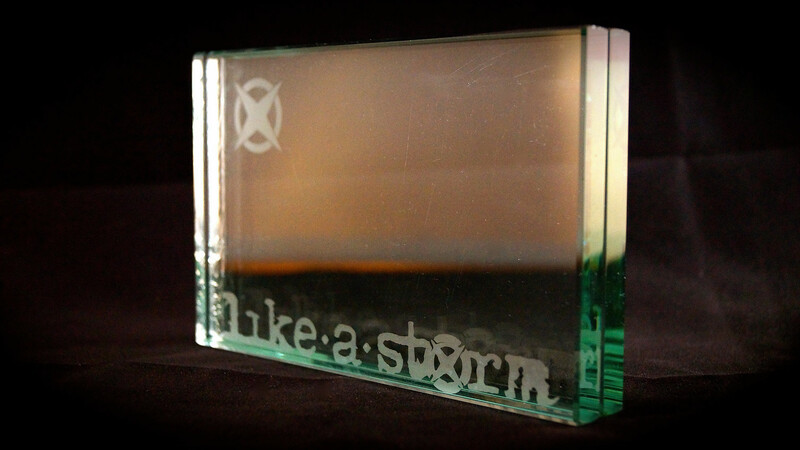 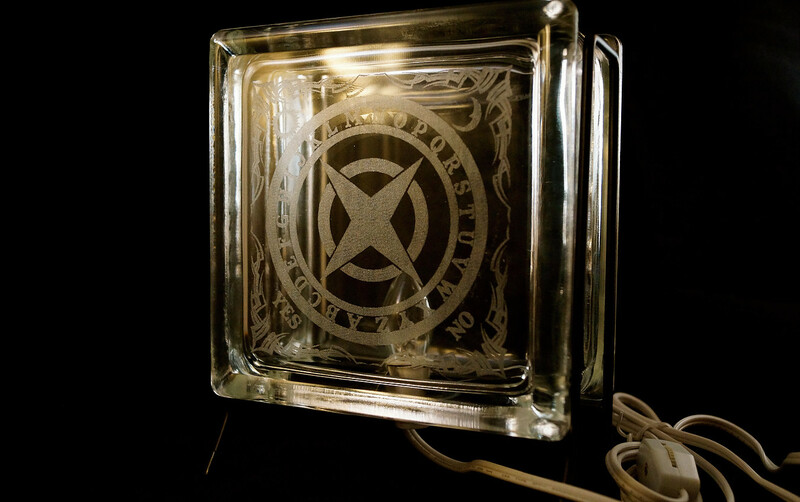 Like A Storm and logo on a sturdy glass block. 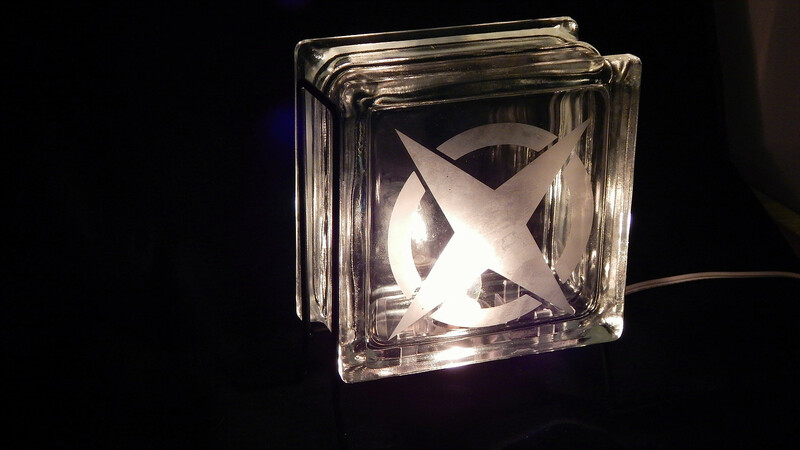 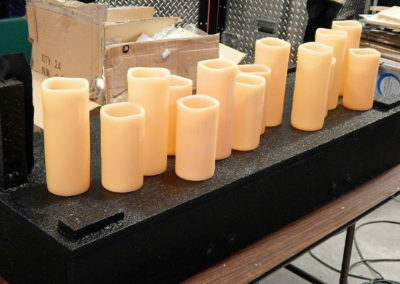 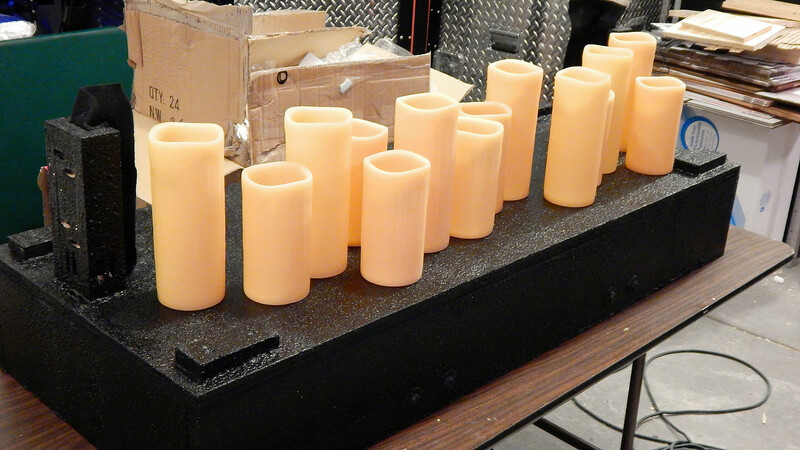 You can also see the light kit and stand we used for this item. 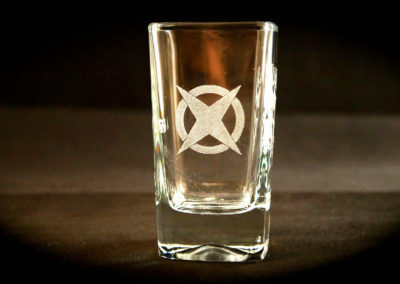 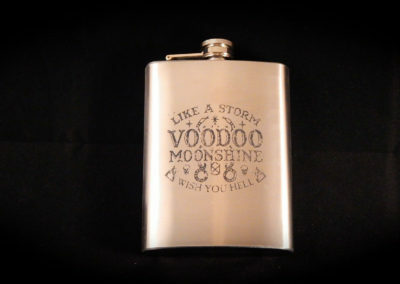 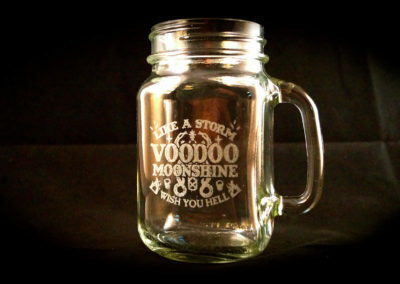 With the band name etched on the front and star logo on the back, this even looks pretty cool empty. You can display pictures landscape or portrait in it. 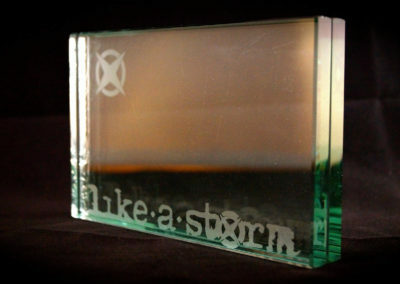 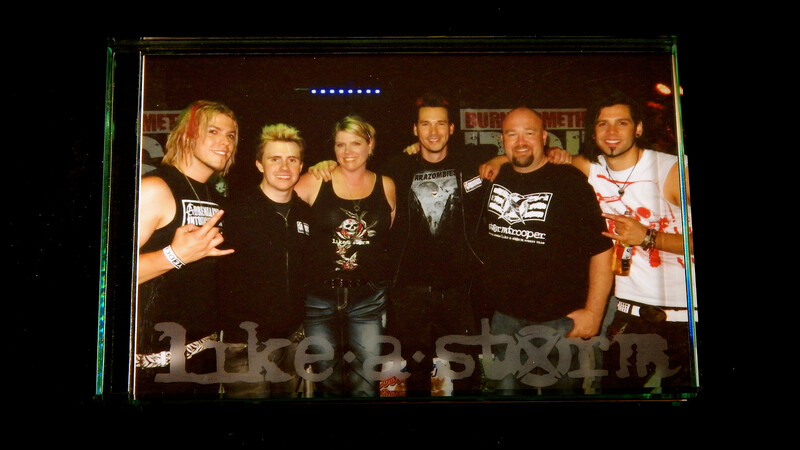 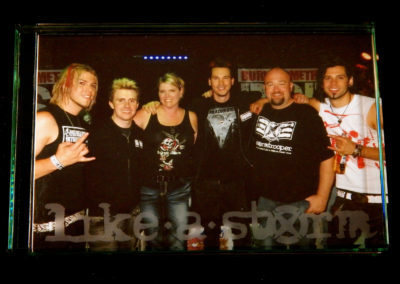 Here we are with Like A Storm, displayed in a two sided glass frame.